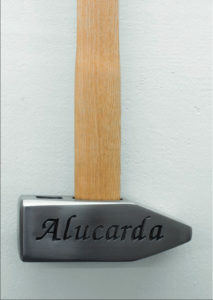 video, engraved sledge hammers, and digital prints. 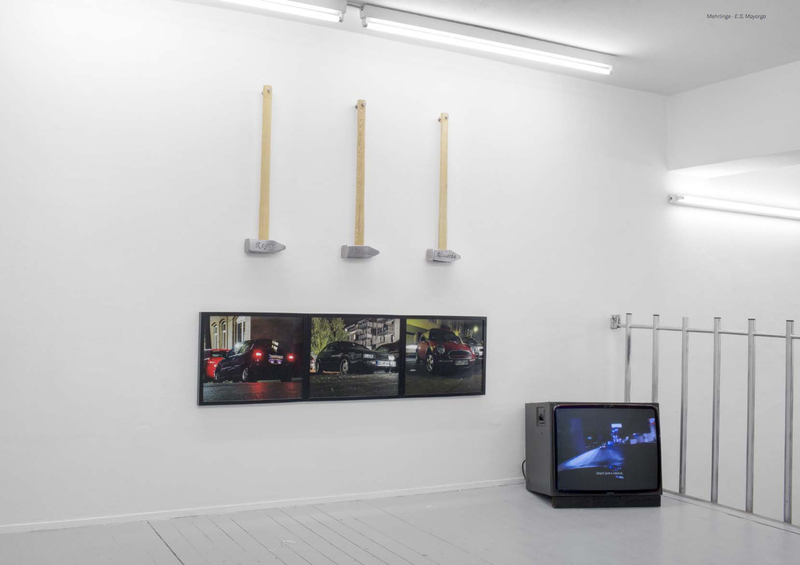 (Above) Part of the installation as presented at Kai Erdmann’s Galerie, Hamburg. (Right) Detail of the engraved sledge hammers. These names are some of the female characters who underwent demonic possession in horror films.